Floyd ("Money") and David Bowie ("Heroes"). The album includes stunning versions of Duke Ellington's "Azure" (lyrics by Irving Mills and "Solitude" (the words were composed by Eddie De Lange). The concert will feature her "working band" (all of whom appear on the CD) - they include Benjamin Traerup (saxophones), Uffe Steen (guitars) and Indra's husband Thomas Sejthen (bass). Anyone who attended her previous shows know just how powerful a singer/interpreter Indra is and how well the band's sounds complements her vocals. The concert is free and open to the public. For more information about the concert, call 860-347-2528. To learn more about the singer, go to www.indrariosmoore.com. Bassist-composer Ben Williams has been one of the busiest musicians of the last 6 years, working with the likes of Wynton Marsalis, Dee Dee Bridgewater, and as a member of guitarist Pat Metheny's Unity Band. He's also had a busy solo career leading his band known as Sound Effect. He's playing this Friday night (1/15) at 8:30 p.m. in the comfortable environs of The Side Door Jazz Club in Old Lyme. The club is listing the group as the Ben Williams Quartet and not including who's in the group. No matter who Williams plays with, the music and musicians will shine on the fine original compositions and smart covers. Call 860-434-0886 for more information. To learn more about the bassist, go to benwilliamsmusic.net. 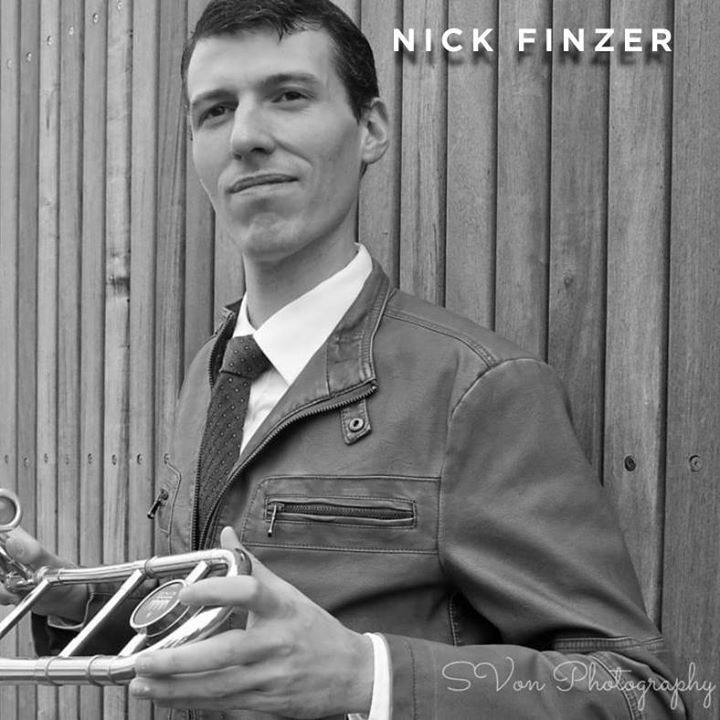 On Saturday night, Ken & Jan welcome trombonist, composer, arranger, and educator Nick Finzer to their venue in Old Lyme. The Rochester, NY, native studied at the Eastman School and did his graduate work at the Juilliard School in New York City. He has studied with 2 of the finest trombonists on the past 40 years, Wycliffe Gordon and Steve Turre. School was a great experience but Finzer has also gotten invaluable on the bandstand, working with the Jazz at Lincoln Center Jazz Orchestra, tuba master Bob Stewart's Double Quartet, and saxophonist Lucas Pino's No Net Nonet. In 2013, the trombonist self-released his debut CD, "Exposition", which featured, among others, Pino, bassist Dave Baron, and Hartford-area native & drummer Jimmy Macbride. Pino and Baron will be the bandstand Saturday night along with pianist Glenn Zaleski, guitarist Andrew Renfroe and drummer Allan Medford. The bulk of the material this band, known as the Hear and Now Sextet, will come from Finzer's delightful new recording, "The Chase" (Origin Records). That CD, issued in July of 2015, features Pino, Baron, Macbride, Zaleski, and guitarist Alex Wintz. What stands out after a couple of close listens is how melodic this music is, the intelligence of the arrangements, and what a dynamic rhythm section the leader has in Macbride and Baron. The title track is just that, a red-hot chase through the hard-bop streets. One can hear the blues a la Art Blakey on "All Hype" and the more New Orleans style blues ballad on "While You're Gone" - that latter track is features Finzer on muted 'bone with the rhythm section. His vocal-like lines shine as does the fine accompaniment of Zaleski. Elsewhere, the music shows the influence of Wayne Shorter on the airy, medium tempo, grooves of "Why Aren't You Excited" (fine tenor solo from Pino who is also a member of pianist/composer Jeremy Siskind's Housewarming trio). That "open" feel permeates the high-energy "Spheres of Influence" with Macbride really propelling the music forward and the soloists responding in kind. Nick Finzer's music is so attractive because, while it does not "scream" into your ears, it insinuates itself into your mind with its melodic content and fine grooves. Plus, the leader is a fine soloist, his fluid lines rising effortlessly over the rhythm section. In person, this music should be even better as the Sextet knows each other well and have played this music a lot. For more information about the Saturday night gig, go to thesidedoorjazz.com. To learn more about Mr. Finzer, go to www.nickfinzermusic.com. Israeli-born composer and pianist Alon Nechushtan comes to the Hartford Public Library this Sunday (1/17) to play in the Baby Grand Jazz series. Nechushtan, whose interests are as varied as can be in this day and age, will be playing alongside bassist Lars Ekman and the splendid drummer Colin Stranahan. The pianist has worked alongside saxophonist Donny McCaslin, drummer Bob Moses, Klezmer clarinetist Andy Statman, and bassist Ben Allison (among others) and has not only composed and performed jazz pieces but also works for larger ensembles and electronic music. The concert, free and open to the public, takes place at 3 p.m. in the Atrium of the Library, located at 500 Main Street in the Capital City. For more information, go to www.hplct.org/classes-seminars-exhibits/baby-grand-jazz. To learn more about Mr. Nechushtan, go to musicalon.com. Pianist Jon Davis has a new CD. Titled "Changes Over Time", it's his 3rd for PosiTone and 7th overall as a leader. The program follows the pattern on his 2015 release "Moving Right Along" (my review here) with its combination of originals and smartly chosen "covers", a 12-song program that ranges from "pop" standards such as "My Cherie Amour" and "Yesterday"(the only solo performance on the disk) to jazz standards such as Mal Waldron's ever-so-funky "Soul Eyes" and Jimmy Rowles's "The Peacocks." Davis also dips into his good friend and former employer Jaco Pastorius's repertoire with a handsome reading of "Las Olas" which the late bass player composed for his Big Band as well as performed with Flora Purim and Herbie Hancock. Joining Davis is bassist Ugonna Okegwo and drummer Jochen Rueckert, both musicians with such a subtle sense of touch and really big ears. They can deliver the funk as they do on the title track (1 of 7 composed by the pianist), negotiate hair-pin changes with aplomb (as they exhibit on the splendid "It's For Free") and play quietly but with strong musicality (shown to best example on the Rowles' piece.) The musicians play with grace and ease throughout the program; nothing feels forced or over-baked. When you have such strong "chops", it's not unheard of to just show off one's technique. But Davis and company sound like they are having a great time with this music, having fun, which translates to the joy of the listening experience. "Changes Over Time" (which will be released on 1/29/16) is a delightful hour of music that one can sit down and fall right into from the opening note to the closing seconds of "Waltz For U." Close your eyes and you might feels as if you're in a lovely salon or intimate concert hall and Jon Davis is playing right in front of you. This CD is yet another example of how the Piano Trio category is far from played out! For more information, go to www.jondavismusic.com.